Background/aim: A randomized, placebo-controlled, double-blind study was designed to investigate the effectiveness of ultrasound therapy in primary knee osteoarthritis. Materials and methods: Ninety patients between 40 and 65 years of age having grade 2 and 3 bilateral knee osteoarthritis enrolled in the study were randomly assigned into 3 groups: continuous ultrasound, pulsed ultrasound, and placebo ultrasound. All patients were given a home exercise program. Patients were evaluated at baseline, at the end of the treatment, and at the second month after the treatment by a range of motion measurement, visual analog scale, Lequesne index for knee osteoarthritis, and Short Form-36 quality of life scale. Results: The increase in the knee range of motion was similar in both ultrasound groups, while the change in the placebo group was not statistically significant. Visual analog scale scores and Lequesne scores of the placebo group at the second month were significantly greater than both ultrasound groups&apos; scores (P < 0.01 and P < 0.05, respectively). Conclusion: Significant improvements in terms of pain, function, and quality of life scales were noted in both ultrasound groups in comparison with the placebo group. No statistically significant difference was found in terms of efficacy between the continuous and pulsed ultrasound. Altman RD, Lozada CJ. Clinical features of osteoarthritis. In: Hochberg MC, Silman AJ, Smolen JS, Weinblatt ME, Weisman MH, editors. Rheumatology. 4th ed. Madrid, Spain: Mosby Elsevier; 2008. pp. 1703–1710. Peat G, McCarney R, Croft P. Knee pain and osteoarthritis in older adults: a review of community burden and current use of primary health care. Ann Rheum Dis 2001; 60: 91–97. Sarı H, Tüzün Ş, Akgün K. Hareket Sistemi Hastalıklarında Fiziksel Tıp Yöntemleri. İstanbul, Turkey: Nobel Tıp Kitabevi; 2002 (in Turkish). Tuncer T. Electrotherapy. In: Beyazova M, Kutsal YG, editors. Fiziksel Tıp ve Rehabilitasyon. Ankara, Turkey: Güneş Kitabevi; 2000. pp. 35–80 (in Turkish). Kalyon TA. Ultrasound. In: Tuna N, editor. Elektroterapi. İstanbul, Turkey: Nobel Tıp Kitabevi; 2001. pp. 52–75 (in Turkish). Kellgren JH, Lawrence JS. Radiological assessment of osteoarthritis. Ann Rheum Dis 1957; 16: 494–502. Basaran S, Guzel R, Seydaoglu G, Guler Uysal F. Validity, reliability, and comparison of the WOMAC osteoarthritis index and Lequesne algofunctional index in Turkish patients with hip or knee osteoarthritis. Clin Rheumatol 2010; 29: 749– 756. Aydın R. Dejeneratif Romatizmal Hastalıklar. In: Ketenci A, Diniz F, editors. Fiziksel Tıp ve Rehabilitasyon. İstanbul, Turkey: Nobel Tıp Kitabevi; 2000. pp. 331–342 (in Turkish). ACR Subcommittee. Recommendations for the medical management of osteoarthritis of the hip and knee: 2000 update. Arthritis Rheum 2000; 43: 1905–1915. Falconer J, Hayes KW, Chang RW. Effect of ultrasound on mobility in osteoarthritis of the knee. A randomized clinical trial. Arthritis Care Res 1992; 5: 29–35. Huang MH, Lin YS, Lee CL, Yang RC. Use of ultrasound to increase effectiveness of isokinetic exercise for knee osteoarthritis. Arch Phys Med Rehabil 2005; 86: 1545–1551. Özgönenel L, Aytekin E, Durmuşoğlu G. A double blind trial of clinical effects of therapeutic ultrasound in knee osteoarthritis. Ultrasound Med Biol 2009; 35: 44–49. Kalpakçıoğlu A, Çakmak B, Bahadır C. Comparison of ultrasound and short wave diaterm in knee osteoarthritis. Turk J Phys Med Rehab 2006; 52: 168–173. ISNAD YILDIZ, SERAP KAPCI , ÖZKAN, FEYZA ÜNLÜ , AKTAŞ, İLKNUR , ŞİLTE, AYŞE DUYGU , KAYSIN, MERYEM YILMAZ , BADUR, NACİYE BİLGİN . "The effectiveness of ultrasound treatment for the management of kneeosteoarthritis: a randomized, placebo-controlled, double-blind study". 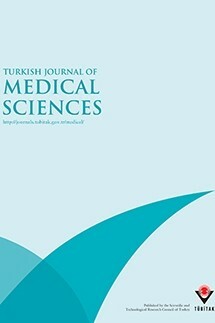 Turkish Journal of Medical Sciences 45 / 6 (December 2015): 1187-1191.